It’s easy to think that marketing and selling are the same thing. If you are telling as many people as possible what it is that you can do, and how good you are at doing it, then you are marketing your pool business, aren’t you? That may have been close to the truth many, many years ago, but modern marketing techniques and theories are much more sophisticated than that. What that means is that the customer comes first. It means that you should see the world from your customer’s point of view. You need to understand what they want from you as a pool professional and how you can provide a service that satisfies those needs and desires. You need to look to the future and see where the pool market might be going. Be on top of the latest trends and the latest products. You need to make everyone in your company aware that they are part of marketing the company – of making it prosper and grow. Successful marketing doesn’t see much of a difference between the workforce and the sales team. They are all there to build a profitable business and as they are all likely to come into contact with your customers and potential customers, they all have their part to play. Marketing is a state of mind and a way of behaving that sees the customer as the focal point of all of your business’s activities. If you can achieve that, just imagine how successful your business could be. A marketing strategy is a plan. Like all plans it takes into account where you are, where you want to be and what resources you have available to help you and your pool business make that journey. Like all the best plans it should be written down – so that you think more about what is in it, so that you can share it with people, and so that you don’t forget it. Like all the best plans, it might change; but at least you have a plan. Essentially it should define different segments of your target market – the people who buy or might buy from you – and how you might best communicate with them in order to tell them things about your business that they will find appealing. This sort of thinking isn’t just for massive companies. Smaller businesses benefit from it just as much. In fact, the rewards from having a marketing strategy as a small business will probably be proportionately much greater. It’s easy to assume that a marketing strategy must be all about getting new customers, selling new types of product or service and going into new areas to grow your business. But before looking at things like that you should think about how you can get the most out of your existing customers. It’s usually more economical and much quicker to sell extra things to people who already know your company than go about finding new customers. Take a close look at the clients you have already worked with and see if you can sell them something else; maintenance equipment and chemicals, decking, a pool cover or perhaps a hot tub or sauna. You already have a relationship with these customers so it might be easier to achieve than it sounds. Measure the effectiveness of your marketing strategy and be prepared to change things that aren’t working. The pitfalls to avoid include; making assumptions about what customers want, trying to compete on price alone, ignoring the competition and relying on too few customers. Every time you speak to someone about your business you are involved in marketing and every time a member of your company speaks – no matter what their job – they are doing the same. Any conversation about your firm is an opportunity to promote your business and increase sales. So a Marketing Strategy helps you and your staff focus on what it is they should be saying and how they should be saying it. At the end of the day, a successful marketing strategy depends on understanding your customers, what they need and how you can persuade them to buy from you and there’s no substitute for that knowledge. Your experience will tell you a lot about your customers but it doesn’t hurt to simply ask as well. The best marketing is a two-way conversation with you doing more listening than talking. 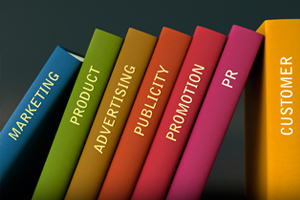 Your marketing strategy sits alongside your business plan. The business plan, of course, covers other issues like finance and overall growth and business direction. And like 95% of the wet leisure industry, you probably don’t have one. A business plan and a marketing strategy are road maps to the successful future of your business. If you actually had them, it would put you ahead of 95% of your competition. If they were well thought out and diligently carried through and changed when circumstances changed or when feedback suggested some alterations then just think how far ahead you would be. It might all sound like paperwork and puffery but really all it is, is a way to manage the process of turning thinking, a little knowledge and a bit of work into profit for you and your business.